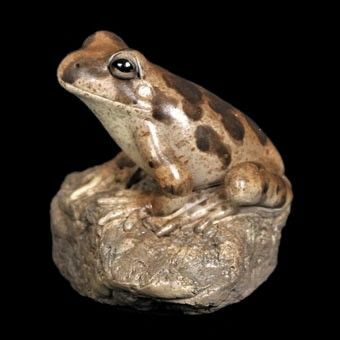 This Ornate Burrowing Frog poly-resin figurine is beautifully crafted and hand-painted and is an ideal gift for the discerning buyer looking for something just that little bit different. The Ornate Burrowing Frog is a species of ground frog that lives in the Kimberley of Western Australia, the Northern Territory, Queensland and west of Sydney. This frog uses tubercules or warty type lumps on its feet to scrape out soil to form its burrow.